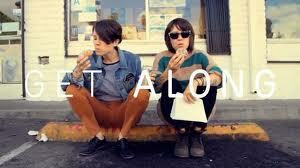 Q & A last night with Tegan and Sara at the TIFF Bell Lightbox was so awesome. 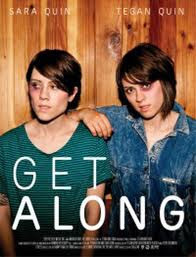 Seemingly always on the road, this time Tegan and Sara are touring through Canada screening three films that they are releasing as part of their CD/DVD package entitled “Get Along”, which was just released on November 15. In select cities after the films, they’ve been doing an hour Q&A with fans. Not only is it rare to see a band in that kind of environment, but the questions asked were from diehard fans with no other agenda than to have their brief moment of interaction with the twins. And while some questions bordered on ridiculous (really? You have the opportunity to ask your idols one question and that is what you go with? ), the girls embraced their notorious on-stage banter and took everything in stride, whether responding to questions about the occupy movement, their sexuality or what half of their body they would want to be a hotdog. This screening was a different twist on the typical movie screenings we’ve attended, combining the concert element with your general theatre experience. 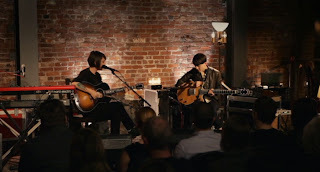 While Tegan and Sara shows are usually pretty intimate and interactive anyway, the Q & A element broadened that connection with their loyal fan base and brought you even closer into their lives. The films – States, India and For the Most Part – compiled documented behind the scenes footage from Tegan and Sara tours through the United States and India, as well as a stripped down studio concert. The first two films gave a brief peek into their off-stage lives while touring. Think of a polished home video, in a sense. The last film was an intimate private concert in a Vancouver warehouse in front of friends and family which really allowed their talents and stage presence to shine through. They spoke briefly about the inspiration behind some songs and really put themselves out there for the camera. 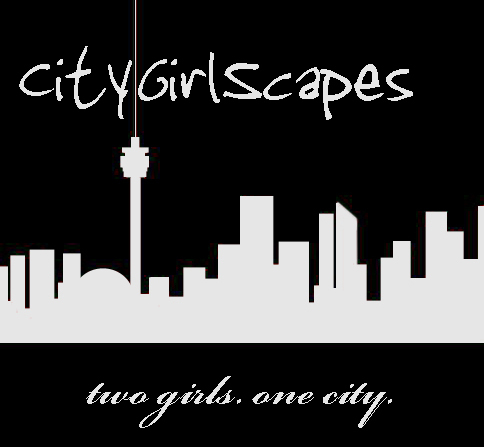 It was a flawless view of what these girls are all about. 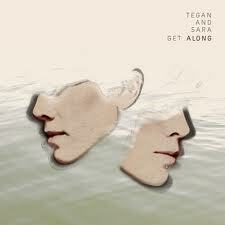 Knowing what we know about Tegan and Sara, there was no doubt that last night would be an amazing, unique experience. The way they present themselves to their fans, realizing how different their lives are but still trying to put forth an effort to make that connection to anyone who came to see them, that’s not something you see from every musician. Though they admit that their presence on stage is a performance, they remain true to who they are and that realness and openness is why they have been selling out venues all over Canada in less than 20 minutes just for the brief opportunity to connect with them as artists and people. 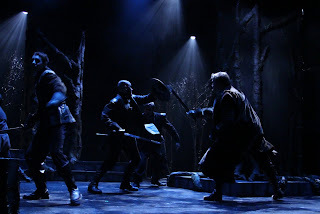 Shakespeare’s timeless tragedy Macbeth will see a three week run at the Hart House Theatre this month and we sat down for opening night this past Wednesday to witness the murder, betrayal and corruption first hand. 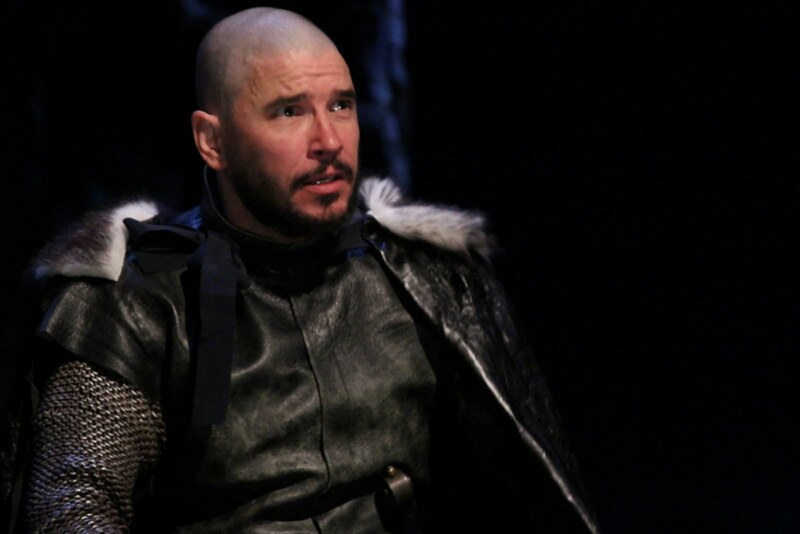 Scottish nobleman Macbeth (William Foley) is told an evil prophecy by three witches (Susan Q Wilson, Claire Acott, Annemieke Wade) and with the help of his scheming wife (Jackie Rowland), he is led to kill the king and seize the throne. 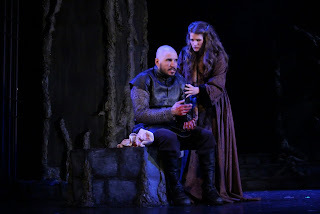 His wife begins hallucinating as a result of her guilt complex and the dead king's son conspires to attack Macbeth and expose him for the murderer he is. 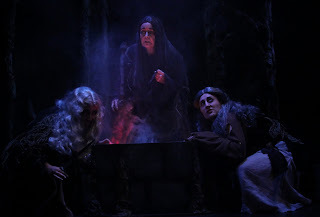 The play opens with the sounds of rain and thunder and the spooky introduction to the Weird Sisters. 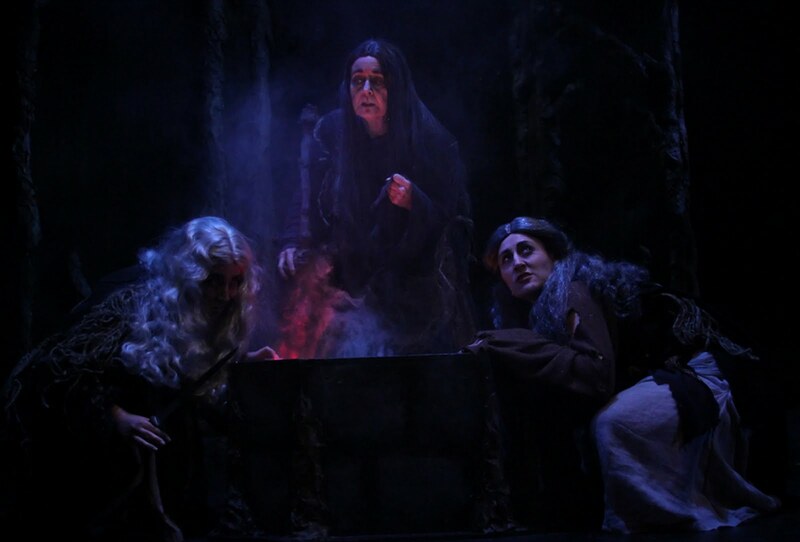 Wilson, Acott and Wade lend their strong talents to the three witches and really manage to claw under your skin. We’ve seen Acott in a number of other Hart House productions, but her transformation into a hunched over, feral witch was impressive - it took a moment to place her on stage. Their vivid essence left a lingering presence throughout the rest of the play, even when they weren’t actually on stage. A well choreographed sword fighting scene follows. The action taking place on the small stage seems genuinely authentic and you almost forget that you’re watching live theatre. 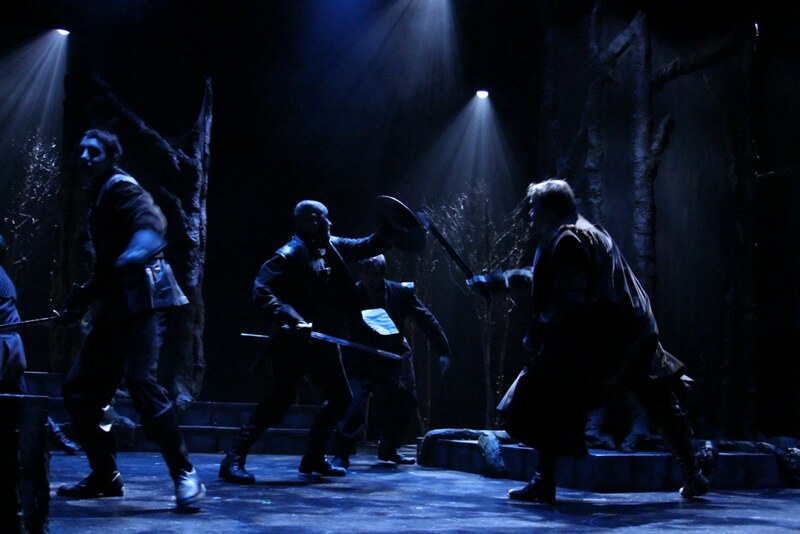 This is your first introduction to Foley’s Macbeth, a ruthless portrayal that only grows more so throughout the play. As the blood around him continues to spill, Foley pushes himself to fall further and further into Macbeth’s corrupt madness, bringing all of us with him to meet his inevitable doom. As with all Shakespearian plays, the tongue twisting dialogue is the most challenging and often gives actors quite a bit of trouble in these productions. Thankfully, even for opening night, any issues with the script went mostly unnoticed and the play itself ran smoothly over the course of the night. $10 student tickets every Wednesday night! 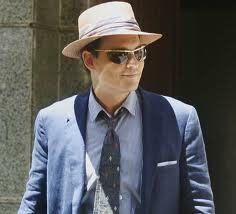 The last scenes of The Rum Diary state that this is just the beginning of the story. The beginning of the story of Hunter S. Thompson, the legendary journalist said to have created Gonzo Journalism, but who is probably better known to our generation for his novel Fear and Loathing in Las Vegas and his bromance with Johnny Depp. 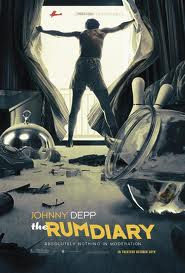 Adapted from Thompson’s first novel, The Rum Diary takes you back to the very beginning. 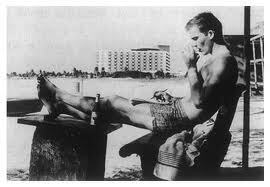 Paul Kemp (Johnny Depp), an American journalist loosely based on Thompson, travels from New York to Puerto Rico to write for the San Juan Star. The run down newspaper is on the brink of going under and Kemp is slotted to write horoscopes and articles about bowling tournaments. That is until the wealthy American entrepreneur Sanderson (Aaron Eckhart) enlists Kemp to write favourably about his scheme to convert a pristine island into a corporate paradise in favour of the wealthy white man. Struggling to find his own voice and to determine what kind of journalist he desires to be, Kemp must choose whether or not to lend his words in support of the corrupt financial criminals or to bring the bastards down. Or so says Kemp in a pivotal scene. Powerful words, a powerful promise. A promise that Thompson does keep throughout his legendary career as a journalist, but a promise that we don’t ever really see during the film itself. Kemp’s character is only just developing. While he is already somewhat of a raging alcoholic, his antics are relatively moderate, his ideas are just starting to come together and he seems to be sitting comfortably on the sidelines for the majority of the story. Which is understandable with this being the beginning of his story, but the movie seems to end before it really takes off, almost as if it started too soon and missed out on all the action that followed. It’s painful to say, but even Depp didn’t add any dimensional value to the character. Don’t get us wrong, his portrayal of Kemp/Thompson is spot on, as it always is, but with little depth to the character, he doesn’t have his chance to shine as we’re used to seeing him do in these roles. 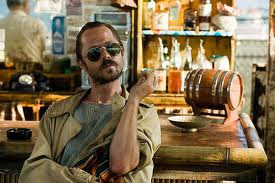 In fact, Giovanni Ribisi’s portrayal of Moburg, the infinitely drunk Hitler loving Religion and Crime Reporter, somewhat upstages Depp in every scene he is in. Even Michael Rispoli as photographer Sala seems to have more opportunities to explore his character than Depp does. Thompson’s work has always had a cult following and extreme fans will no doubt still be interested in seeing this. It is, if nothing else, an interesting look into those early years. But if you’re expecting to see the genius of Thompson come through, stick with the book, as those moments are few and far between.